Amazon began as a bookseller and they have scaled their business up to be one of the largest online retailers on the planet. They have expanded their product offering to span most age groups and verticals. In much the same way Google’s Paid Search and Facebook’s Paid Social arenas have revolutionized retailer’s perspectives on how to spend their marketing dollars, so now has Amazon re-revolutionized the same perspective; calling on retailers globally to seriously consider expanding their digital spends beyond paid search and paid social, to now include paid Amazon services. Each year as companies invest in their digital outreach capabilities and the online spend levels increase year over year, it is necessary to get into the arena, find your customers, and capture market share. Paid Search and Paid Social work very well together and it is essential that retailers understand how to successfully add Amazon to the mix. Amazon will allow you to promote an individual product based on keywords users are searching for, while navigating and shopping within the Amazon platform. 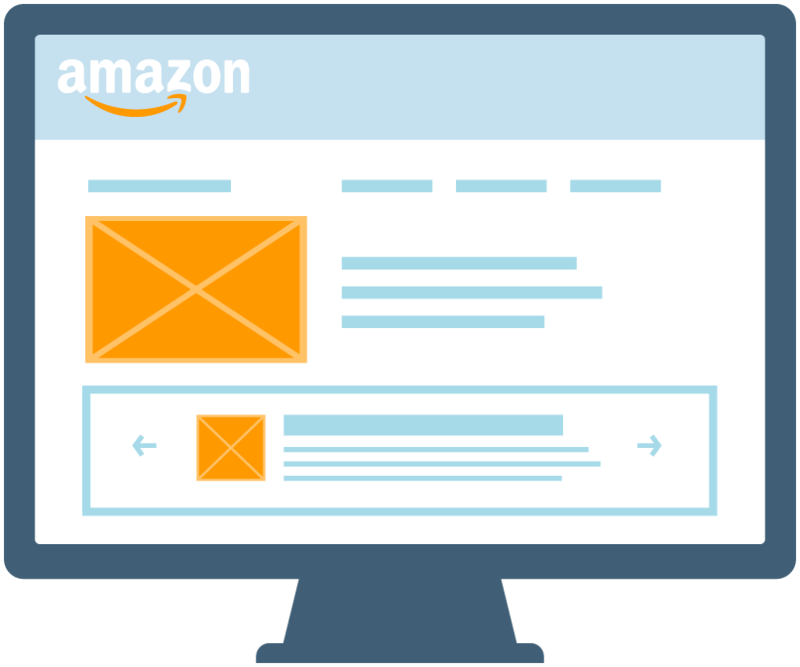 As an advertiser, when you select a keyword you want to target, Amazon will show your sponsored product ad in, or above their search results; you can also show them on specific product pages. In a very similar fashion to the Pay-Per-Click platforms, you can control and allocate daily budgets and you will only be charged when someone clicks on your ad. In a similar fashion to Sponsored Ads, these Headline Search Ads show in the search results and are triggered by targeted keywords and as an advertiser, you are only charged when someone clicks on your ad. Daily budgets are not the only setting here however, you can also set an overall campaign budget. Headline Search Ads are powerful for building brand awareness as they display your logo along with three of your products. 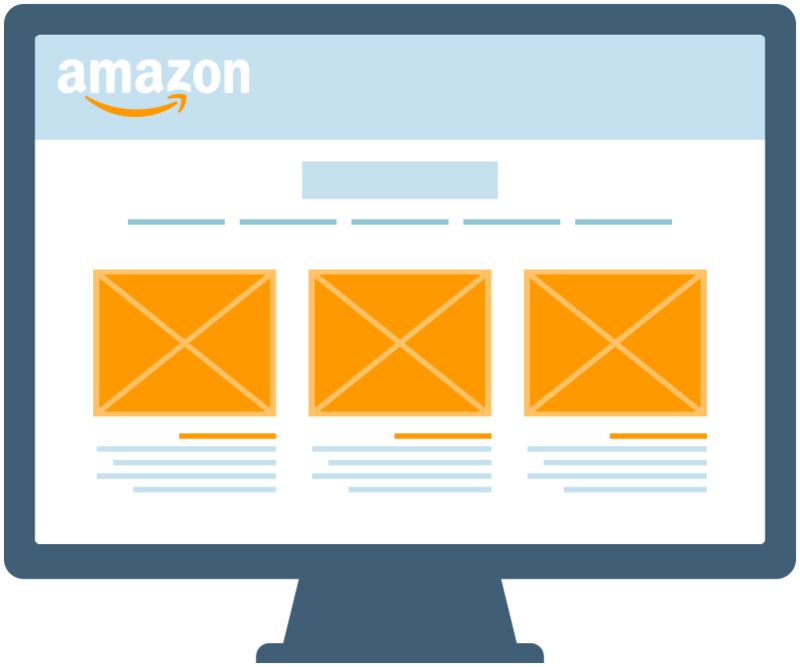 Your ads will send the users through to your Amazon Store page or more specifically to a landing page featuring several products or to a specific product’s detail page. Amazon’s platform is like its own internet that is made up of Google’s search engine cross-bred with a network of Websites. Searching in Amazon would be the similarity to Google search but it would be the Amazon Store that would mirror the ecosystem of websites. 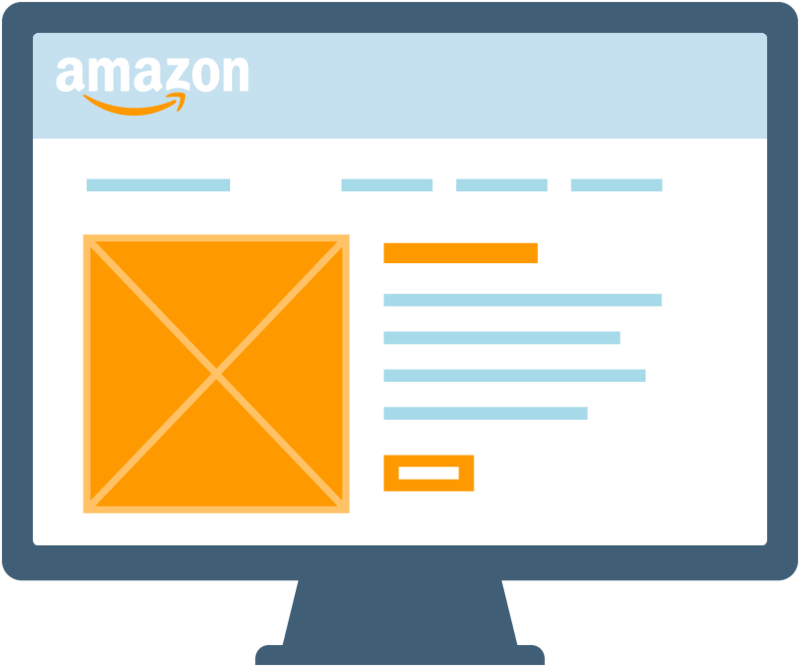 Of course your Amazon Store page is not as elaborate or robust as a fully-functioning website, but it will be customizable, allowing for a multi-page environments that will showcase products and your branding. These stores are free to build, and Amazon created a Store Builder application that is easy to use with pre-constructed design templates that allow you to easily customize your layout and add products. Use Headline Search Ads to drive visitors to your store. You can also always use marketing tools that are outside of Amazon to drive traffic -> PPC, Social Paid ads, Email etc…. Lastly, we have the Product Display Ads, which appear on product detail pages. These ads surface to Amazon users as items they should or could consider adding to their cart before checking out the items already in the cart. Unlike keyword targeting for Headline Search Ads, Product Display Ads are targeted according to shopper interests, individual products or product categories. They are however similar to headline search ads when it comes to budgeting, being able to set both daily and campaign budgets. Logical Media Group has fully-customized reports for every aspect of Amazon, whether that be at the ground level reviewing all the granular data, or high-level performance reports for the C Suite. Amazon’s application programmer interface (API) has two types of reports: Scorecards and Dashboards. While very different, they both supply critical data for measuring performance. Scorecards: Measures and helps to manage performance. Provides insights into what is working and what is not working according to your key performance indicators (KPI’s). Dashboards: Show real time performance metrics. You can create and view multiple dashboards to ensure clearly communicated comparisons of different areas and time frames within your account’s performance. Logical Media Group’s reporting and analysis of reports will garner faster insights that will more clearly communicate account performance and identify areas that are doing well, and that need improvement. Our team will specifically identify high-performing keywords and products to make sure that all of our clients have a higher Buy Box win percentage and are maximizing profit. Logical Media Group to learn more about how Google Ads and Amazon can work together to grow your overall return. Retailers and brands need to compete in digital and online in order to survive. Competing on Amazon for e-commerce is an absolute. If brands are not doing this, they are losing out to their competition who is already doing so. A bit of a catch-22, because competing online means competing against and playing in the same arena as Amazon; however, the price of not doing so and selling traditionally through physical stores is a dying breed as fewer and fewer people are traveling to stores to purchase (in particular for the more recent generations of millennials and now Generation Z). So, start your advertising on Amazon with a Sponsored Products campaign and eventually open up your branding exposure with both Headline Search Ads and an Amazon Store. Contact Logical Media Group to speak with an Amazon specialist about auditing your current Amazon account and providing a strategy for Amazon Marketing Services.